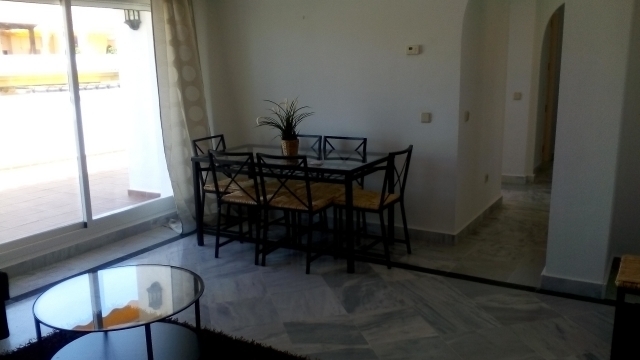 Nice 3 bed penthouse apt, very spacious, furnished to a good standard. 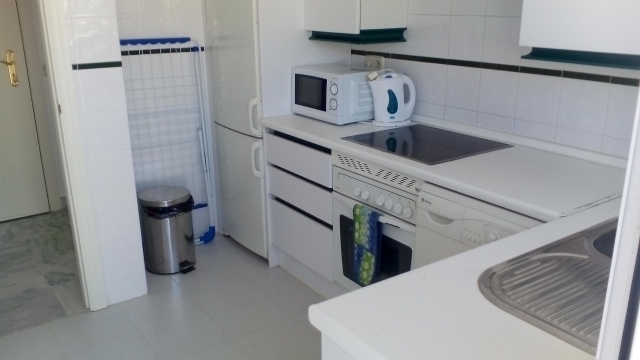 It is fully equipped with a full fitted kitchen. A large living/dining room. 3 bedrooms, 2 bathrooms. The apt has a/c which acts as heating in the winter. 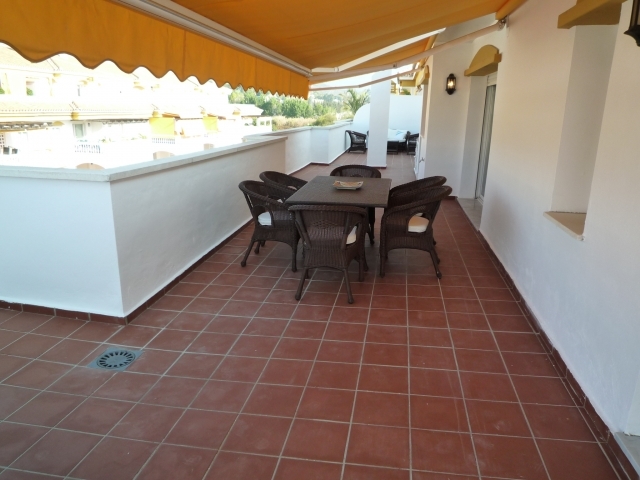 Huge wrap round terrace balcony off the living room, kitchen and bedroom. Outside table and chairs west facing. There is an LED TV & blue-ray player + a docking station. Fully fitted kitchen. 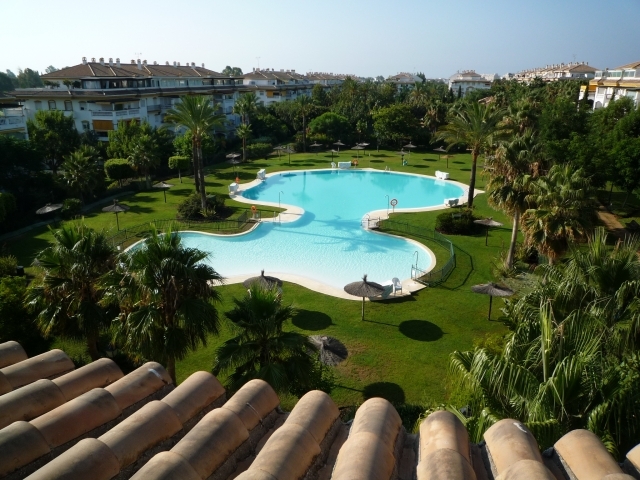 The complex has probably the two biggest shared swimming pools in Puerto Banus both approximately 50 mts long. 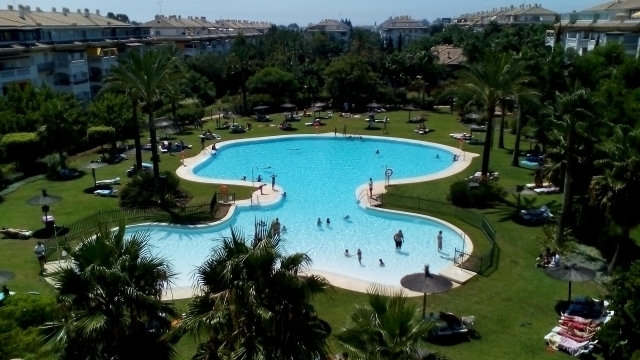 Both pools have children’s end and lifeguards to watch for the children while you relax on the free sun-loungers. The complex also has nice, huge gardens and children’s play area and tennis courts. There is also a nice bistro restaurant on site serving breakfast, lunch and dinner. Puerto Banus is probably the best place in Costa Del Sol when it comes to sport and leisure activities. You can play golf in around 20 golf courses around Marbella. 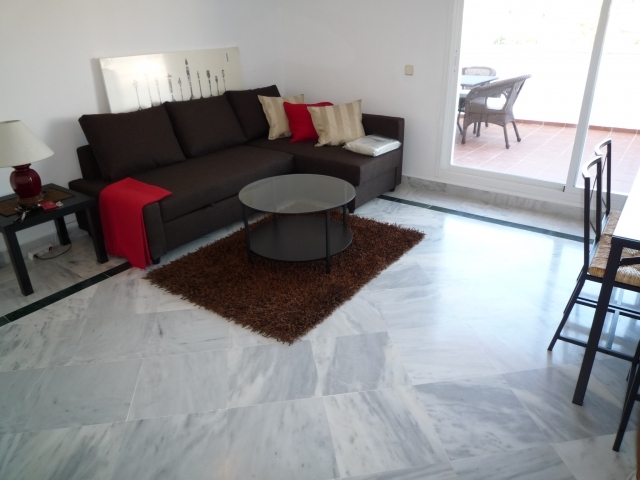 The closest golf course, Dama Da Noche golf, is few hundred meters away from the apartment. If you enjoy running, the Via Verde (green way) is over 6 kilometers long road in front of the beach. 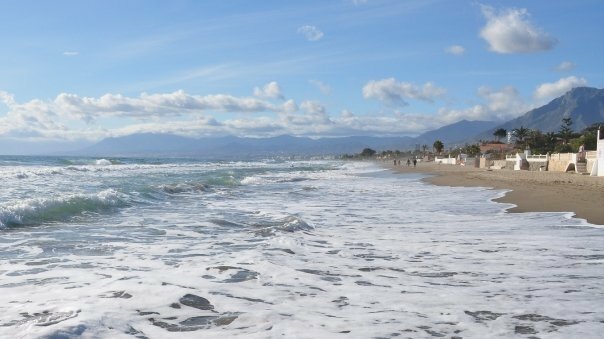 For someone that wants to run long distance there is a coastal runway for around 20 kilometers around Marbella, Puerto Banus and San Pedro. The nearest gym is just 500 meters away from the apartment. Puerto Banus is famous for its restaurants, cafes and nightlife. The Puerto Banus port has wide selection of restaurants and nightlife especially for more demanding taste. There are two great beaches and beach front cafes and few ocean clubs where you can enjoy the sun and listen to music. 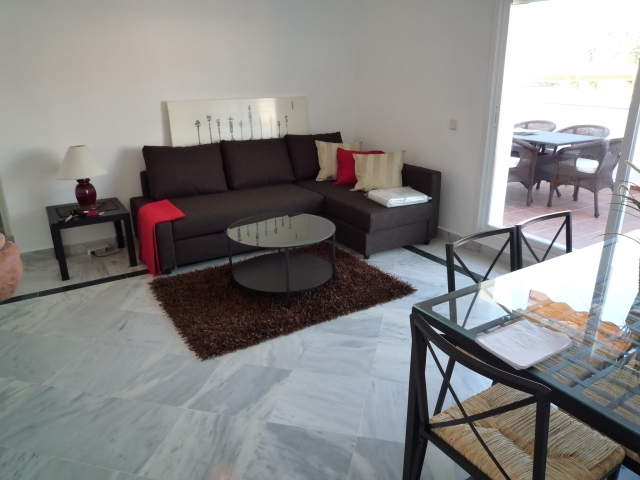 The distance to the port and beach is only 1km so the apartment avoids the biggest buzz going on at the Puerto Banus centre. And yet, you will manage without a car. 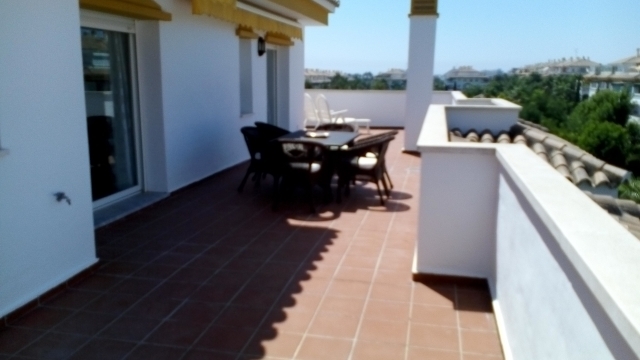 *Top floor penthouse apartment, very private. 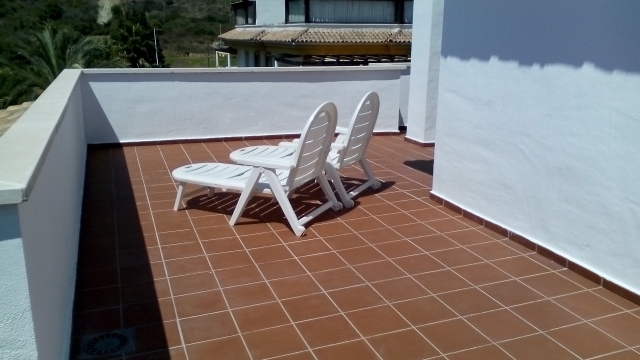 *Super large terrace with west facing aspect, dining suite, seating area and a few sunbeds for private sunbathing. 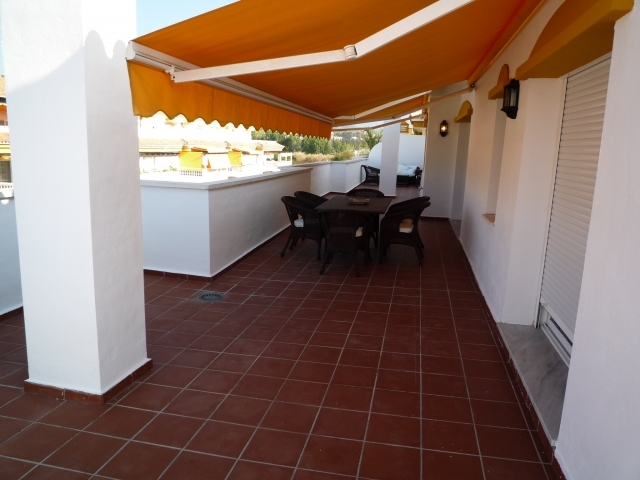 The terrace has electric parasols to protect from the sun if required. *10 mins genuine walk into the port of Puerto Banus. *2 huge shared swimming pools with childrens areas. *Able to sleeps 7/8 due to the nice quality sofabed. Prices are in euro per week and subject to change. 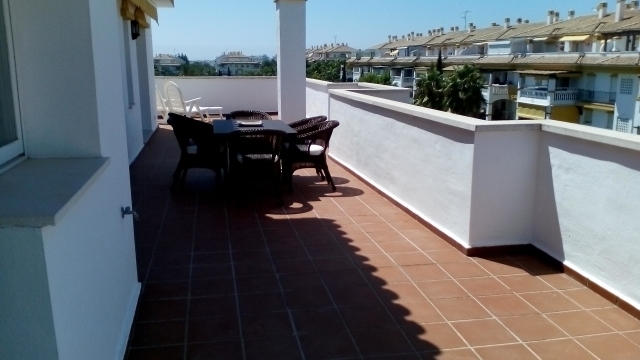 This property is managed by Inspirations Marbella, one of the largest and professional support teams in the area. 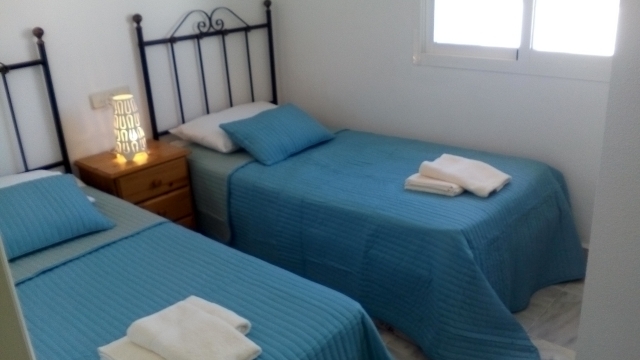 This is an important consideration when deciding on booking privately owned accommodation. There is nothing more comforting to know than that you have the help and support of a motivated team on-site in order that your holiday is the best ever! 1. On booking request you will receive a detailed email with all the information about the rental and how you pay, step-by-step. 2. 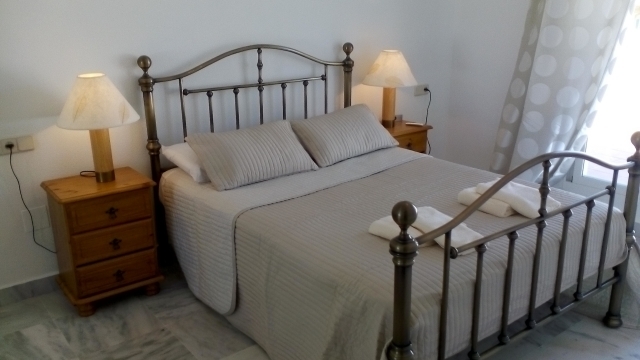 On payment of the deposit you will receive email confirmation that your holiday is booked and further instructions. 3. You will be asked to fill out all your details, including flights and special requests to ensure that everything is covered. 4. At balance payment stage you will receive another email with further details on payment and more information and suggestions. 5. On payment you will receive a confirmation email with all the relevant details needed, including key collection, special requests etc. 6. At this point you can decide whether you want to take advantage of their professional transfer service from the airport direct to the property (in English, French, German, Spanish or Russian). 7. Or if you are hiring a car, a detailed travel itinerary will be sent by PDF email how to find their office to collect the keys. 8. 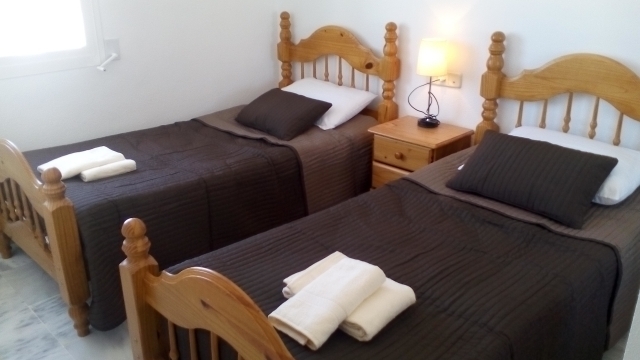 They are able to offer varying services prior to your arrival welcome packs, hire of beds, cots, high-chairs etc, hire of PS2 or Xbox, mobile modem hire for your laptop, etc... Please ask! 9. 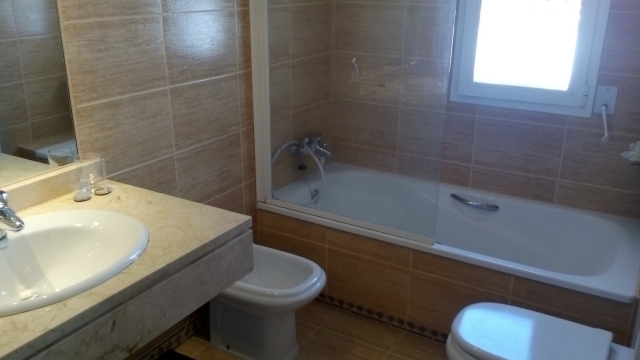 The property will be clean and ready for your arrival, with all the power on, the water hot and anything you requested in place. 10. If you have any requirements whilst you are there, all the contact details and the office location is detailed for you. 11. 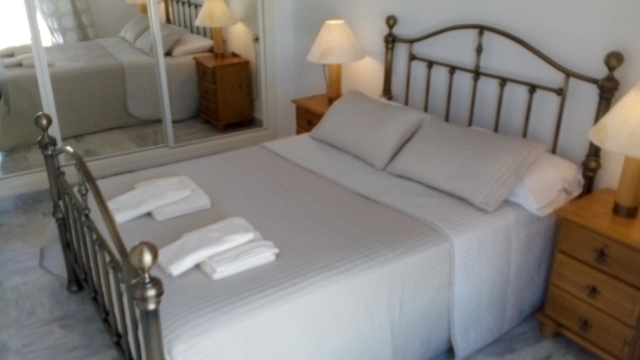 For stays of 10 nights or more, you will be provided with a weekly clean + linen and towel change. 12. Finally on vacation, you will be instructed the outward procedure. 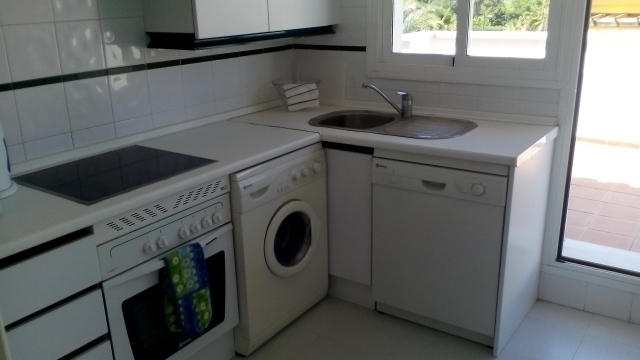 The property will be cleaned, laundry attended to and checked.